Seminoma is a common testicular germ cell tumour. It should not be confused with the unrelated tumour called spermatocytic seminoma. Male counterpart of the dysgerminoma, which arise in the ovary. Most common germ cell tumour of the testis. Rarely, it may present a retroperitoneal mass. Arises from germ cell neoplasia in situ, abbreviated GCNIS (previously known as intratubular germ cell neoplasia). Central nucleus, with prominent nucleolus. Nucleus may have "corners", i.e. it is not round. +/-Lymphoctyes - interspersed (very common). +/-Syncytiotrophoblasts, AKA syncytiotrophoblastic giant cells (STGCs), present in ~10-20% of seminoma. Large + irregular, vesicular nuclei. Eosinophilic vacuolated cytoplasm (contains hCG). Syncytiotrophoblasts = closest to mom in normal chorionic villi - covers cytotrophoblast. Memory device: 3 Cs - clear cytoplasm, central nucleus, corners on the nuclear membrane. Approximately 24% of Stage I seminomas have lymphovascular invasion. Stage I = Tx N0 M0. Intertubular seminoma may not form a discrete mass and mimic a benign testis. Solid variant of yolk sac tumour. Lacks fibrous septae and lymphocytes. Choriocarcinoma - esp. if (multinucleated) syncytiotrophoblasts are present. Granulomatous orchitis - if granulomas are present. Testicular scar - seminomas may regress spontaneously. Testicular atrophy - esp. for intertubular predominant seminoma. Seminoma with granulomas - intermed. mag. Seminoma with granulomas - high mag. Seminoma with granulomas - very high mag. Seminoma with granulomas - low mag. Choriocarcinoma, yolk sac tumour and spermatocytic seminoma all -ve. D2-40 +ve ~100% of cases in one series. Useful for discriminating from embryonal carcinoma. CD117 +ve (ckit) ~92% of cases. Done to r/o embryonal carcinoma. Cytokeratins usu. -ve, may have weak focal positivity. Also +ve in embryonal carcinoma. Largely replaced by OCT4 or OCT3/4 - which is more sensitive. -- Germ cell neoplasia in situ (intratubular germ cell neoplasia) present. -- Please see synoptic report. 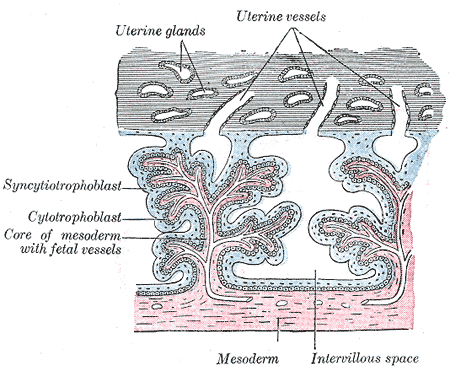 - Background testis consists of Sertoli cells only, NEGATIVE for spermatogenesis. The sections show large atypical, discohesive cells with prominent nucleoli, central nuclei and moderate clear cytoplasm, intermixed with mature lymphocytes. Mitotic activity is present. A mixed germ cell tumour cannot be excluded; given the small quantity of tumour, this biopsy is at a high risk for having undersampled other tumour components should they be present. Correlation with serology and consideration of re-biopsy is suggested. ↑ Preda, O.; Nicolae, A.; Loghin, A.; Borda, A.; Nogales, FF. (2011). "Retroperitoneal seminoma as a first manifestation of a partially regressed (burnt-out) testicular germ cell tumor.". Rom J Morphol Embryol 52 (1): 193-6. PMID 21424055. ↑ Zhou, Ming; Magi-Galluzzi, Cristina (2006). Genitourinary Pathology: A Volume in Foundations in Diagnostic Pathology Series (1st ed.). Churchill Livingstone. pp. 542. ISBN 978-0443066771. ↑ URL: http://www.webpathology.com/image.asp?case=31&n=10. Accessed on: 22 May 2012. ↑ URL: http://upload.wikimedia.org/wikipedia/commons/4/45/Gray37.png. Accessed on: 31 May 2010. ↑ Soper, MS.; Hastings, JR.; Cosmatos, HA. ; Slezak, JM. ; Wang, R.; Lodin, K. (Aug 2014). "Observation versus adjuvant radiation or chemotherapy in the management of stage I seminoma: clinical outcomes and prognostic factors for relapse in a large US cohort.". Am J Clin Oncol 37 (4): 356-9. doi:10.1097/COC.0b013e318277d839. PMID 23275274. ↑ URL: http://emedicine.medscape.com/article/2006777-overview. Accessed on: October 8, 2014. ↑ 7.0 7.1 Henley, JD. ; Young, RH. ; Wade, CL. ; Ulbright, TM. (Sep 2004). "Seminomas with exclusive intertubular growth: a report of 12 clinically and grossly inconspicuous tumors.". Am J Surg Pathol 28 (9): 1163-8. PMID 15316315. ↑ URL: http://webpathology.com/image.asp?case=34&n=8. Accessed on: March 8, 2010. ↑ Hedinger, C.; von Hochstetter, AR. ; Egloff, B. (Jul 1979). "Seminoma with syncytiotrophoblastic giant cells. A special form of seminoma.". Virchows Arch A Pathol Anat Histol 383 (1): 59-67. PMID 157614. ↑ Ulbright TM, Tickoo SK, Berney DM, Srigley JR (August 2014). "Best practices recommendations in the application of immunohistochemistry in testicular tumors: report from the international society of urological pathology consensus conference". Am. J. Surg. Pathol. 38 (8): e50–9. doi:10.1097/PAS.0000000000000233. PMID 24832161. ↑ Amin, MB. ; Epstein, JI. ; Ulbright, TM. ; Humphrey, PA.; Egevad, L.; Montironi, R.; Grignon, D.; Trpkov, K. et al. (Aug 2014). "Best practices recommendations in the application of immunohistochemistry in urologic pathology: report from the international society of urological pathology consensus conference.". Am J Surg Pathol 38 (8): 1017-22. doi:10.1097/PAS.0000000000000254. PMID 25025364. ↑ 12.0 12.1 Lau, SK. ; Weiss, LM. ; Chu, PG. (Mar 2007). "D2-40 immunohistochemistry in the differential diagnosis of seminoma and embryonal carcinoma: a comparative immunohistochemical study with KIT (CD117) and CD30.". Mod Pathol 20 (3): 320-5. doi:10.1038/modpathol.3800749. PMID 17277761. ↑ 13.0 13.1 Iczkowski, KA. ; Butler, SL. ; Shanks, JH. ; Hossain, D.; Schall, A.; Meiers, I.; Zhou, M.; Torkko, KC. et al. (Feb 2008). "Trials of new germ cell immunohistochemical stains in 93 extragonadal and metastatic germ cell tumors.". Hum Pathol 39 (2): 275-81. doi:10.1016/j.humpath.2007.07.002. PMID 18045648. ↑ 14.0 14.1 Cossu-Rocca, P.; Jones, TD. ; Roth, LM. ; Eble, JN. ; Zheng, W.; Karim, FW. ; Cheng, L. (Aug 2006). "Cytokeratin and CD30 expression in dysgerminoma.". Hum Pathol 37 (8): 1015-21. doi:10.1016/j.humpath.2006.02.018. PMID 16867864. ↑ Emerson, RE. ; Ulbright, TM. (Jun 2010). "Intratubular germ cell neoplasia of the testis and its associated cancers: the use of novel biomarkers.". Pathology 42 (4): 344-55. doi:10.3109/00313021003767355. PMID 20438407. ↑ Hattab, EM. ; Tu, PH. ; Wilson, JD. ; Cheng, L. (Mar 2005). "OCT4 immunohistochemistry is superior to placental alkaline phosphatase (PLAP) in the diagnosis of central nervous system germinoma.". Am J Surg Pathol 29 (3): 368-71. PMID 15725806. This page was last modified on 11 February 2017, at 11:14.